Butler NationalGolf Club is strongly considering opening its doors to women, a move that could bring major championships to Chicago and would mark a major cultural shift for the 40-year-old institution.Industry sources told the Tribune the iconic Oak Brook club, ranked 54th on Golf Digest’s “America’s 100 Greatest” list, is conducting a study that will analyze how many women would be invited for membership and the facilities it would need to build. Butler National is in contact with officials from the USGA and PGA of America regarding whether the club can be a future site for events such as the U.S. Open, PGA Championship and Ryder Cup. If those governing bodies say yes — and industry sources believe they will — then the club’s board would make a recommendation and be poised to take a vote among its members. A strong majority, believed to be three-quarters, would have to approve the change. A U.S. Open could be worth $5 million to the club, industry analysts say, easily offsetting a migration of members who want the club to remain all-male. But that’s just an estimate, given that the next available U.S. Open is in 2020. 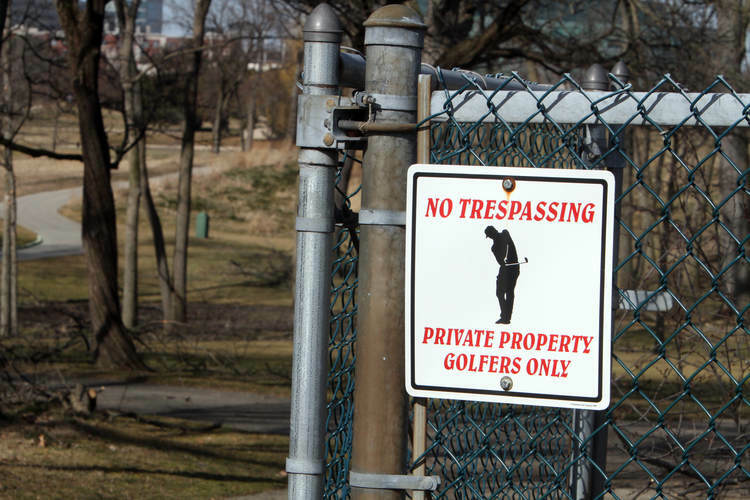 Butler National, which has a six-figure initiation fee, has African-American, Asian, Latino and Jewish members, but women are not allowed on the property. When the club hosted the Western Open, women were allowed on the grounds as spectators. Chicago-area clubs Bob O’Link, Old Elm and Black Sheep also prohibit women from joining. There are about two dozen all-male golf clubs in the United States out of roughly 4,500, according to Golf Digest. Members at all-male clubs defend their policies by pointing to financial considerations as much as the opportunity for male bonding. Family clubs typically have amenities such as swimming pools and tennis courts, and there’s an emphasis on social events. At clubs such as Butler National and Black Sheep, in west suburban Sugar Grove, the resources go toward improving the golf course. “The focus at our club is not on tennis or dining or the bridge club or social status,” Solano said. That comment led the USGA, PGA Tour, LPGA and PGA of America to require private clubs that want to host events to adopt non-discriminatory admissions practices, ending Butler National’s Western Open run. Shoal Creek has added African-American members, including former Secretary of State Condoleezza Rice, and gotten back in the USGA’s good graces. It hosted the U.S. Junior Amateur in 2008. Augusta National Golf Club in Augusta, Ga., is the best-known all-male club. But because the Masters, the tournament Augusta National hosts, is a private invitational event, the club is not beholden to any USGA or PGA Tour policies. In 1991, Chicago Golf Club in Wheaton withdrew as host of the 1993 Walker Cup because it had no minorities as members or women as voting members. The club later relaxed its membership policy and hosted the Walker Cup in 2005. Mark Wilson, a Butler National member and five-time winner on the PGA Tour, told the Tribune in September it would be “neat” to see the club host a major or the BMW Championship. “It’s a great test,” he said. “But (changing the membership policy) is not up to me, and I’m not going to lobby for it either. But with so many “family” clubs already in the western suburbs in the early 1970s, the book states, friends convinced Butler that having an all-male membership would attract more applicants. Now, if it admits women, Butler National could return to its roots by hosting top-notch tournament golf. The club expects to complete its study in the spring. Some members long to see how today’s long hitters would fare on the course, which course architect Tom Fazio modernized in 2005. It measures 7,523 yards from the back tees with a course rating of 78.1. 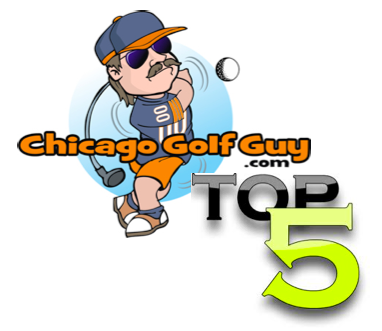 Industry analysts believe Butler National is the perfect Chicago venue to host a major. Its west suburban location makes it accessible to the Loop, the North Shore and south suburban golf fans who have attended the Western Open/BMW Championship at Cog Hill in Lemont. Butler National practically overlaps with the Oak Brook Golf Course, which would provide room for hospitality tents and parking. And the old line is that given the course’s length, trees, hazards and demanding approach shots, the club would need about 24 hours to prepare for a major. Golf Digest rates Butler National the nation’s 11th-toughest course and No. 1 in Illinois.